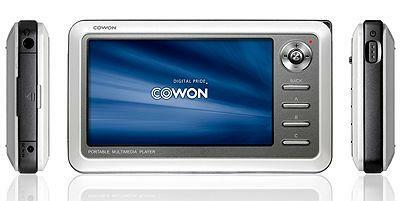 Cowon recently introduced the Cowon A2 portable media player to the South-Korean market. The global release will likely follow a bit later. The A2 is available with either a 20GB or 30GB hard drive and features a rather big 4-inch LCD display. 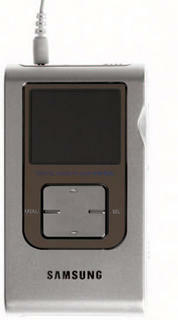 It supports AVI, ASF, WMV, DivX, XviD, MPEG4 and WMV9 video files along with MP3, WMA, OGG and WAV audio files. And there's also support for JPEG, BMP and PNG image files. The A2 also has a FM tuner and allows you to view text files as well as lyrics. The battery should go on for 10 hours while playing video and 18 hours while playing audio. More info at DAP Review. 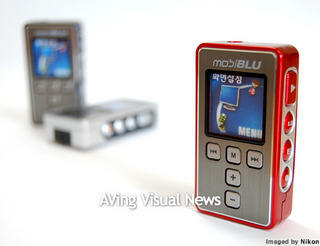 Here's some more information about the DHH-200 digital audio player from MobiBLU. The specifications of this device has changed a bit since the last specifications appeared on the web. This device will now feature a whopping 6GB HDD instead of the 4GB HDD as was reported earlier. It will likely have a 1.8-inch LCD display that can play MPEG4 movies and display JPEG images. It will also enable direct encoding, voice recording and FM radio. Price is unknown but the previously announced (but cancelled) 4GB and 5GB version would have cost 225EUR and 250EUR respectively. Deze mp3-speler beschikt over 20 GB opslagruimte en een kleurenscherm. Vooraleer je muziek kan beluisteren moet je deze op de speler zetten, met aangepaste software. Pas dan kan je luisteren naar de muziek, met een perfecte geluidskwaliteit. 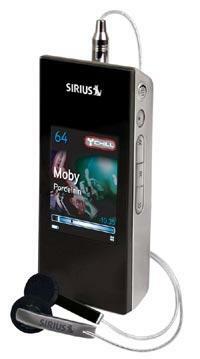 In October of this year Sirius will launch the Sirius S50 with a $360 price tag. This satellite radio unit allows you to listen and recording of Sirius content while in it's docking station, even like adding a mixture of your mp3/WMA content. This unit is lightweight, it has a color display. The capacity is 1GB, and the battery life is 6-hours. 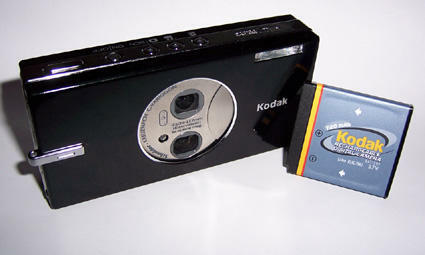 This is the, not yet announced, new EasyShare V570 from Kodak, it will join the V530 and V550 in the Kodak Pocket Series. 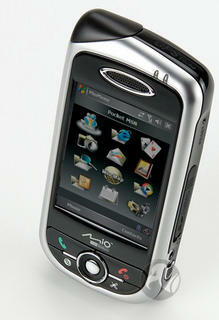 Next week Mio will showcase the A710, a new Windows Mobile-based smartphone with integrated GPS module. 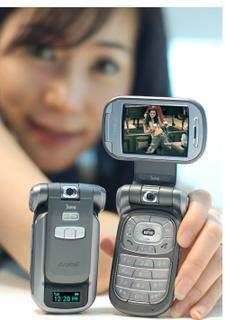 It has a 240 x 320 display and also features a 1.3 megapixel camera. More details can be read at The Register. 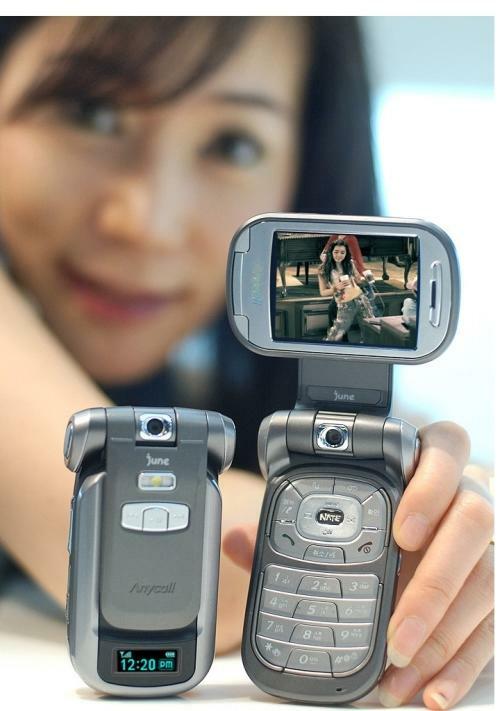 This cell phone does everything, even TV. As usual, it has a 2MP camera, MP3 playback functions, 128Mb of memory and an Office and PDF document viewer. This device should cost around 600 EUR. This new mp3 player,the DAH-1800 has a rectangular design, Sleek front, kind of vulnerable/plastic looking sides and is 260k color OLED. There isn't much known about its feature set, but the 1800 supports picture browsing, text viewing and m3u-on-the-fly creation. Seems to come in 3 versions, probably 256, 512MB and 1GB. As of September available in South-Korea. This update is for customers who own the PSP™ (PlayStationPortable) model number PSP-1001 K. DO NOT update your PSP™ system through this Web site if you own a different model of the PSP™ system. There is no guarantee of proper operation with other models of the PSP™ system.Also available in French or Spanish. -->An update to PSP™ system features was made available on August 24, 2005.Internet Browser User License Agreement With this update, the system software is version 2.00. PENTAX Corporation is pleased to announce the marketing of the PENTAX *istDS2 digital SLR camera equipped with a large, high-resolution 2.5-inch color LCD monitor.The new *istDS2 has been developed as the sister model of the popular *istDS, which was introduced to the international market last year. Inheriting all the outstanding features of its predecessor, it offers the extra benefit of a large 2.5-inch, 210,000-pixel color LCD monitor to enhance image confirmation and on-screen operations. Coupled with the high-magnification glass pentaprism viewfinder, which was well-received by the *istDS users, it assures a large, clear view of the subject at every stage of digital photography, from shooting to playback and editing. Samsung has released a grand 71-inch DLP TV as the first in the world. It offers the highest resolution so far, 1080 full HD. 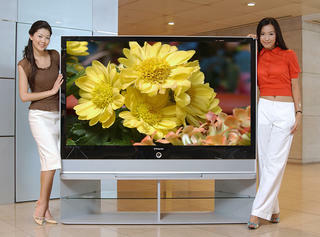 The TV weighs only 50,3 kg and is as thin as 518mm like general 29 inch TV. The TV will be available from September at Tweeter and Good Guys in North America. 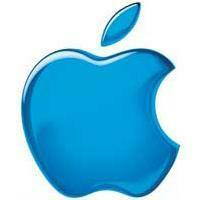 Apple Computer Inc. plans to buy as much as 40 percent of the NAND flash output of Samsung Electronics Co. in the second half of this year. 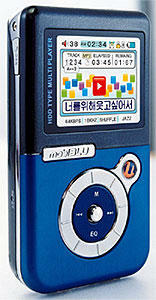 Rumours indicate Apple may launch a new flash-based iPod mini player with a 4GB capacity. This may be a problem for other NAND flash customers. Canon expands its digital imaging market leadership with the launch of 24 new products; including seven stylish PowerShot compact digital cameras, two powerful EOS digital SLRs, two high-quality, affordable EF lenses, a new EX Speedlite; and 12 new printers, which includes three SELPHY 4 x 6 inch compact photo printers; five PIXMA single function printers and four PIXMA Photo-all-in-ones. "With 24 new products added to our photographic lineup today, Canon continues to bolster its leadership position in the market by offering the most extensive choice of solutions for the entry level consumer to the seasoned professional," said Yukiaki Hashimoto, senior vice president and general manager of the consumer imaging group at Canon U.S.A., Inc., a subsidiary of Canon Inc. "Our customers continue to benefit from the highest Canon imaging technologies, such as our DIGIC II image processors and high density print heads ultimately being incorporated throughout the product range. The end result is consistent, spectacular photos for everyone." Canon is America's choice for digital cameras. After securing the number one position in compact digital cameras with a market share of 20.4 percent in 2004, the NPD Group reports that the Canon brand captured the number one position in the first half of 2005 with a market share of 23 percent. This figure represents unit sales to consumers of both compact cameras and digital SLR cameras combined, as reported by NPD's retail point-of-sale tracking service(1). Canon was also the number one brand in both NPD's Digital Point-and-Shoot and Digital SLR categories, with market shares of 20.8 percent and 61.2 percent, respectively, for the first half of 2005. Canon products are consistently recognized for their quality and reliability across all categories from Digital Cameras to Camcorders to Photo Printers. Independent customer satisfaction findings and reviews issued by industry-leading sources such as PC Magazine(2), PC World and CNET - all valued and trusted sources for information for consumers regularly rank Canon number one in quality and reliability. Canon digital cameras are not only ranked number one in a variety of categories, but, they also receive a large number of Editors Choice Awards every year. For example, Consumer Reports recently gave very high marks to the Canon Digital Rebel XT in its review of Digital SLRs in its September issue. -- PowerShot A410 digital camera replaces the PowerShot A400 model at an estimated selling price of $149.99(3) with 3.2MP CCD sensor, 3.2X optical zoom lens and a 1.5-inch LCD screen. -- Speedlite 430EX flash unit replaces the Speedlite 420EX model with more features and higher performance with a maximum guide number of 43/141 (ISO 100, in meters/feet). It will be available in September for $299.99(3). "We aim to maintain our number one spot with the launch of seven new PowerShot models that offer consumers a wide range of design and feature-based choices," added Hashimoto "Whether its the advanced amateur that wants a pocket-sized powerhouse with our PowerShot S80 model, to mom and dad looking for a small and versatile memory-capturing device with our A-series line, to the style conscious with the PowerShot Digital ELPH series, Canon has attractive offerings for every kind of photographer." Targeting expansion within the professional photography market, Canon launched two new digital SLRS designed to suit the very demanding requirements of working professional photographers. The EOS 5D model is the world's smallest and lightest full-frame digital SLR featuring a 12.8 megapixel CMOS sensor, and the upgraded EOS-1D Mark II N model is the world's fastest digital SLR with an 8.2 megapixel CMOS sensor and an 8.5 fps burst rate. These new cameras provide wedding and portrait photographers, photojournalists and advanced amateurs with versatile tools designed to improve image quality and simplify workflow. Canon was one of the first companies to create inkjet printing technology. Since the mid-1970s, Canon continues to invest in inkjet printing technology, resulting in ongoing industry advances in color printing, resolution and output speed. One such advance is Canon's FINE (Full-photolithography Inkjet Nozzle Engineering technology). Launched globally by Canon in 1999, FINE technology uses high-performance multi-nozzle print head with up to 6,144 nozzles that ejects consistent and microscopic ink droplets. The results are high-resolution photos with greater detail and clarity in less time. Today, Canon is the only manufacturer to utilize FINE technology in its entire inkjet printer line(4). Canon is also the only manufacturer to offer printers with one picoliter droplets, a feature that appears in multiple products. Canon remains committed to dye-based ink technology. Dye-based ink provides brighter images, faster printing speeds and more accurate color representation than comparable pigment based solutions. With its recently announced Canon ChromaLife100 ink system, Canon printers can produce prints on select genuine Canon photo papers that resist fading for up to 100 years when stored in an archival quality photo album(5) and up to 10 years when exposed to open air(3). -- Canon PIXMA iP5200/5200R printers can produce a borderless 4x6-inch photo with photo lab quality in approximately 36 seconds in the default mode(4) and prints at a maximum of 9600 x 2400 color dpi(7) with microscopic droplets as small as one picoliter. The PIXMA iP5200R and IP5200 printers will carry estimated selling prices of $229.99(3) and $179.99(3), respectively.